“As a former Textile Designer, with background in designing contemporary garments & products for a Global Design Festival in Sri Lanka, the chance to get stuck in with helping design, sell and market Island Spirit’s ‘Wildcrafted Products’ range is fantastic. 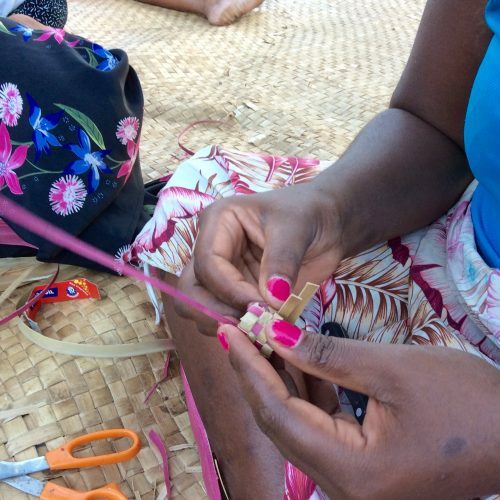 Island Spirit recognises and realises the role of the island’s dynamic traditional handicrafts, in the socio-economic development of Fiji and works with many local communities across the islands. Island Spirit work with each local community to better the lives of us all; locals and tourists. 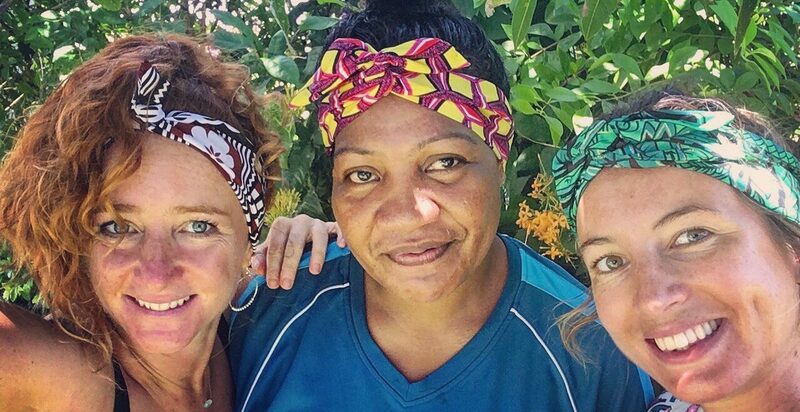 The latest and most popular Island Spirit Fair Trade product to date are the Wildcrafted Fijian headbands. 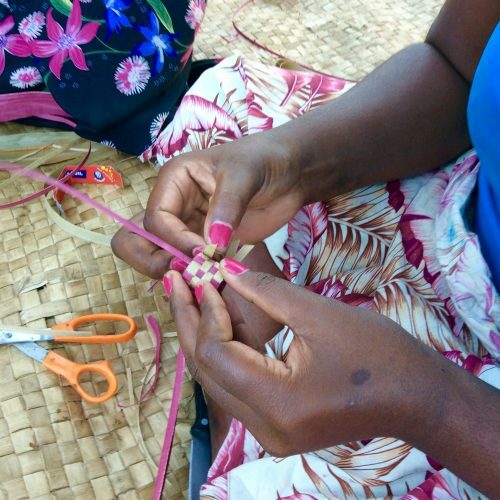 Island Spirit chose to honour #WorldFairTradeDay by launching and selling these quality handicrafts created by the wonderful women in Fiji. See more here. 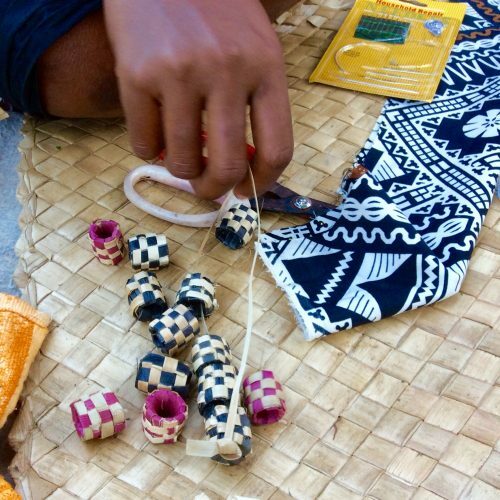 Momi, on Fiji’s mainland, Viti Levu, was the first village Island Spirit approached to work with in creating these unique products. Lavena on Fiji’s ‘Garden Island’ will be next, once the ball starts rolling. 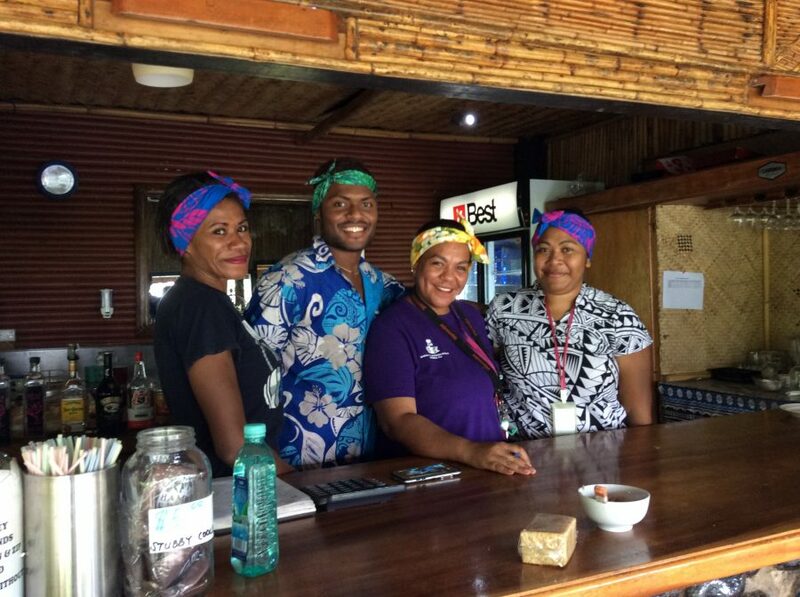 You can read more about our Taveuni adventure here. Buying our first batch of handicraft from the Womens Group in May 2017. Weaving the pandanas leaves to make necklaces. Some of the colours they are working on now. Fabric is selected and cut to required measurements. Fold in half right sides together and sew all along the length of the hem – from tip to tip. Stitch up the tip end of the headband. Voila! 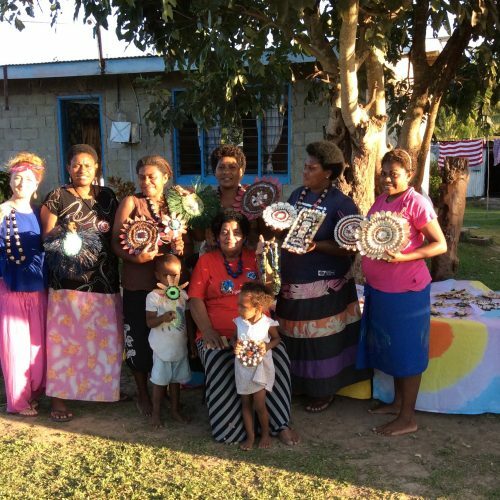 Through this process of fresh and innovative eco-design, we encourage these womens groups to produce more contemporary craft products while simultaneously maintaining the rich traditional techniques. We are helping to link the authentic skills of these local artisans to the growing tourists’ international tastes and needs. Encouraging women to be more active in the local economy, we create a healthy ripple effect which means money earned will be used back in the local community. Read more in our previous blog. 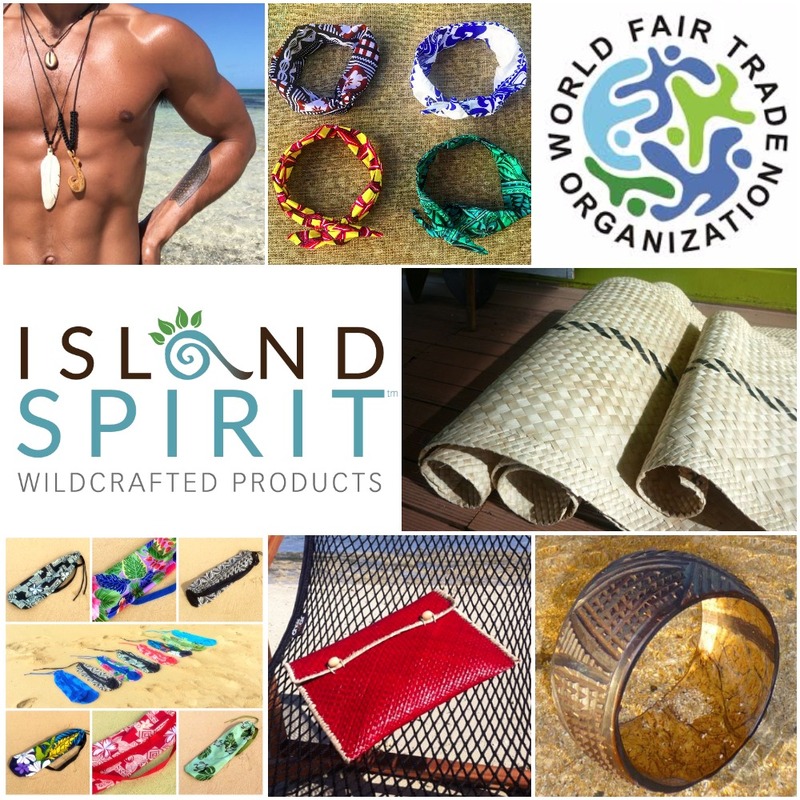 All Island Spirit handicrafts are specifically designed to use traditional methods to produce modern and useful products, and we are extremely proud to say they are all Fair Trade. You can read more about our Fair Trade membership here. 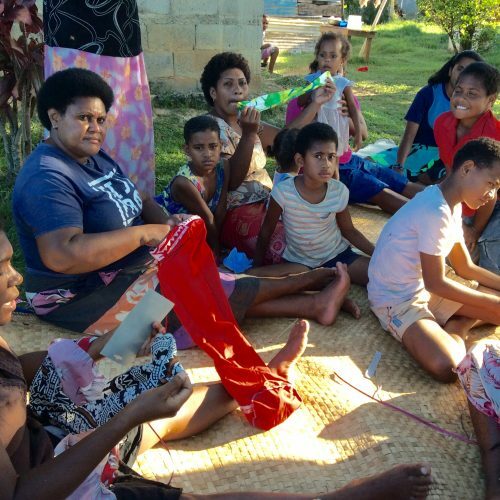 To read more on the Lomaisoli Womens Group in Lavena, Taveuni, Fiji – Click here. 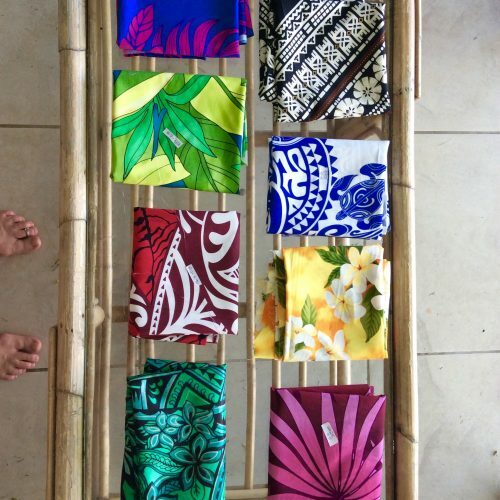 These women weave yoga mats for Island Spirit’s ‘Wildcrafted Products’ range. 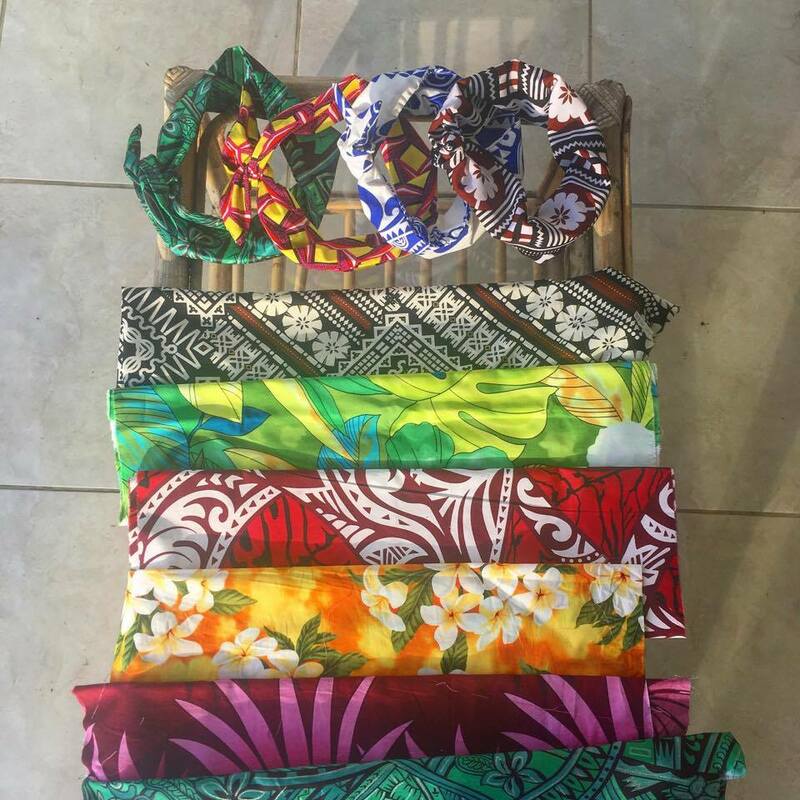 Please visit our online shop if you are interested in purchasing one of our lovely South Pacific headbands. You can also view our full range of handicrafts here.